Many thanks to Patricia for commissioning this episode! 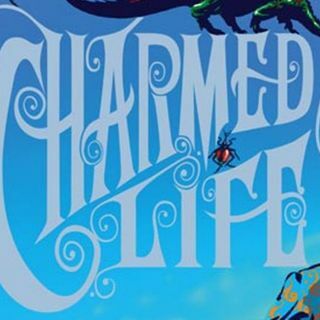 So far, Charmed Life has me baffled, but in a good way. I'm still trying to figure out exactly is going on here, because I definitely think there's more going on than meets the eye. These chapters are almost all taken up with Gwendolyn showing off, tormenting people, and generally making a complete nuisance of herself with magic. She's The Worst, and I really want someone to slap her across the face and put her in her ... See More place because the way she's carrying on is untenable. Sure, some of the magic she's done is impressive, like moving all the trees up against the house, or getting a million moles to ruin the lawns. But obviously, Gwen, since everything you've tried gets set right in about an hour, you've obviously met your match. How about you take it down a notch?